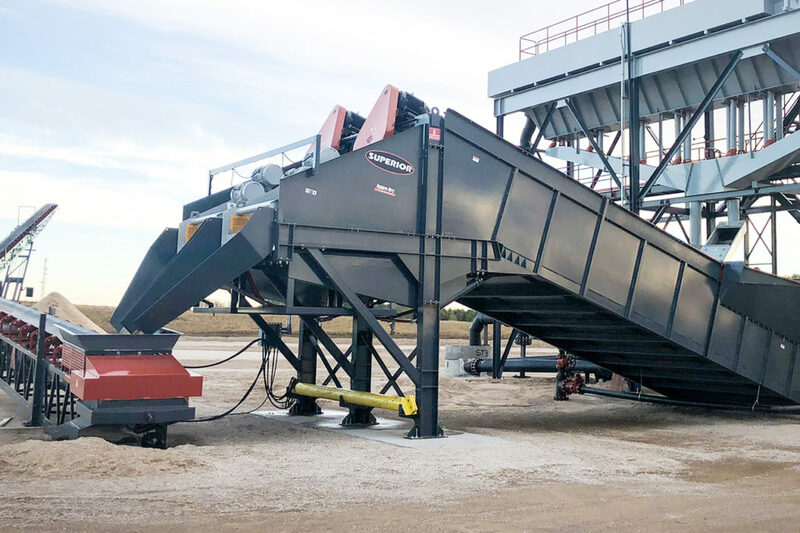 The patent-pending Alliance® Low Water Washer allows you to wash crusher dust right next to the crushing circuit, eliminating the cost of handling and hauling these fines to a new washing circuit. This unit is designed with a small footprint, which allows it to be easily incorporated into an existing plant. 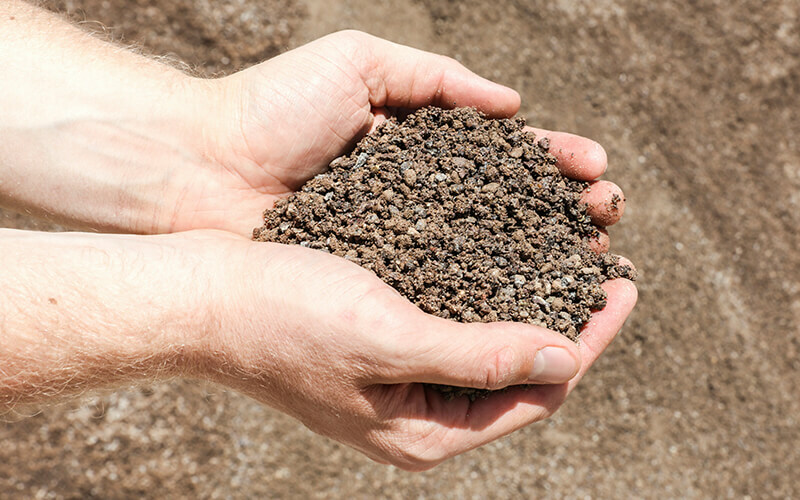 The Alliance Low Water Washer agitates and dewaters material, turning tailings into a salable manufactured sand. Customers experience significantly less water consumption when washing straight off of a dry feed. The Alliance Low Water Washer is manufactured in models for rates up to 300 TPH (272 MTPH). 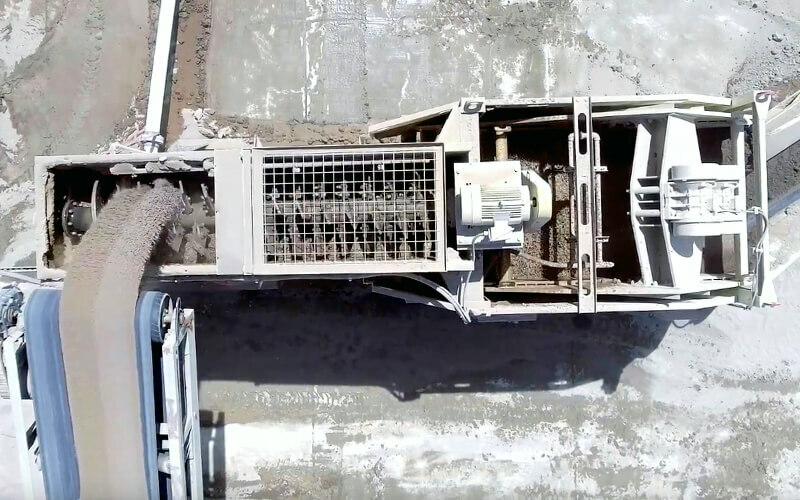 The Low Water Washer’s agitator mixes a dry feed with water, producing a thick slurry that discharges onto an attached dewatering screen. The agitator, blade mill, is equipped with a spray bar along the entire length of this section for thorough cleaning. The blade screw is constructed of ¼ inch ASTM A36 steel for maximum durability and strength. 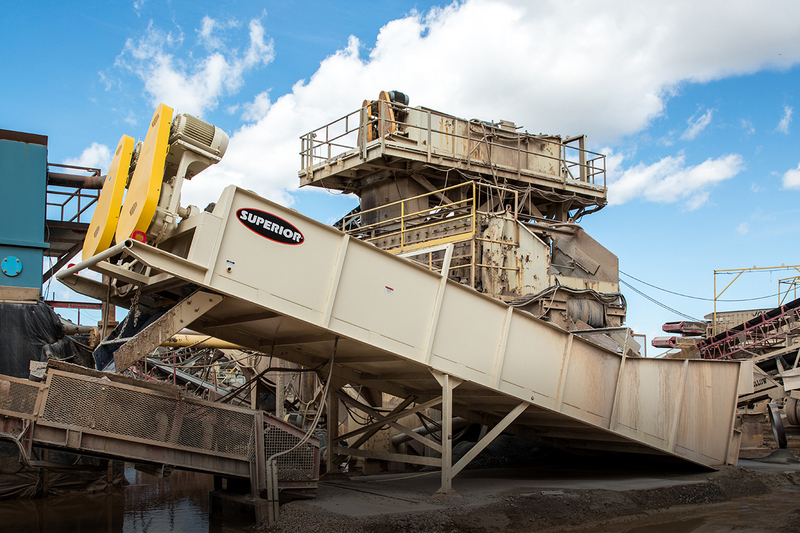 Constructed with a ½ inch A36 steel welded frame, the integrated dewatering screen is rigid and robust. A spray bar is mounted at the discharge of the dewatering screen to rinse material as it drops onto the screen. Adjustable between -5° and +5°, the dewatering screen can be positioned in the best configuration per the operator’s needs. The screen media is a 70 mesh urethane snap deck. 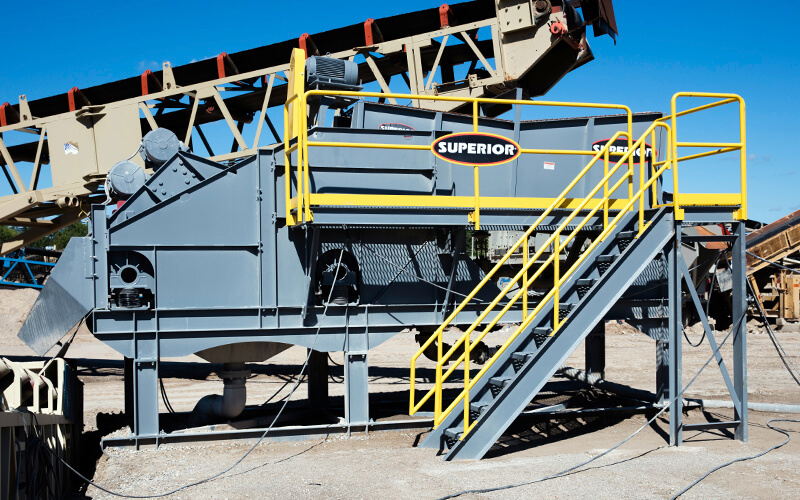 A 60hz 230/460V, 1800 rpm vibrating motor with adjustable throw runs the dewatering screen. 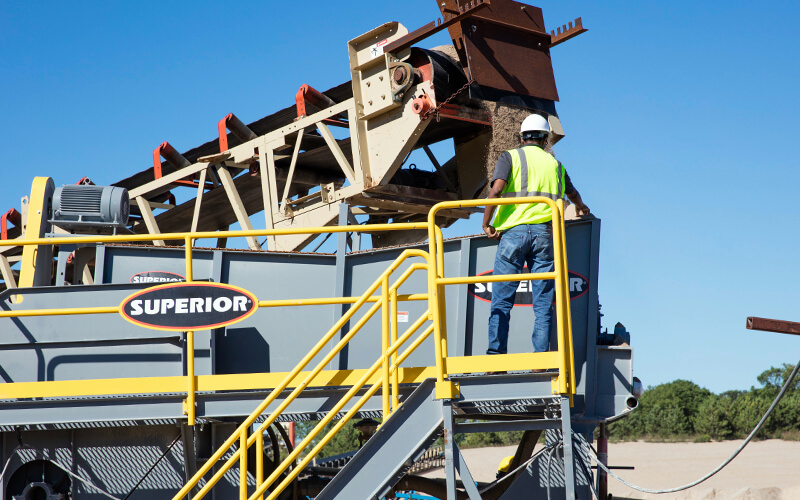 Learn more about Superior’s dewatering screens. 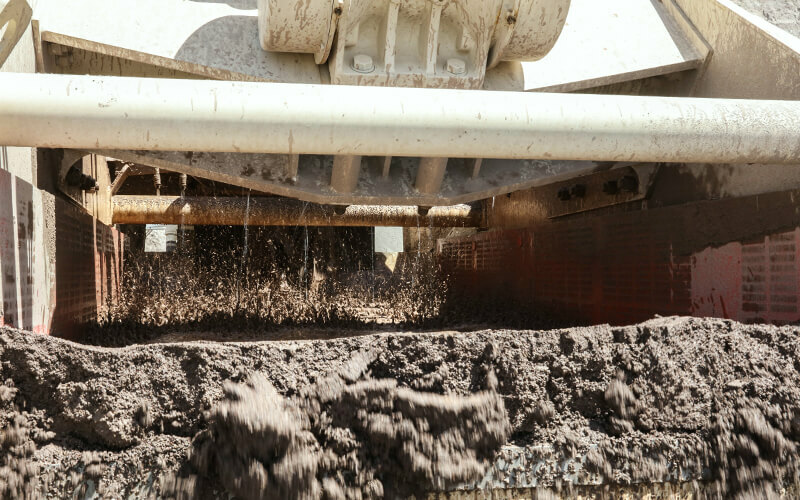 Besides savings on your water bill, incorporating an Alliance Low Water Washer into your plant will also save you big bucks in material handling and transportation costs. Use our calculator to determine your savings and estimate your investment payback. 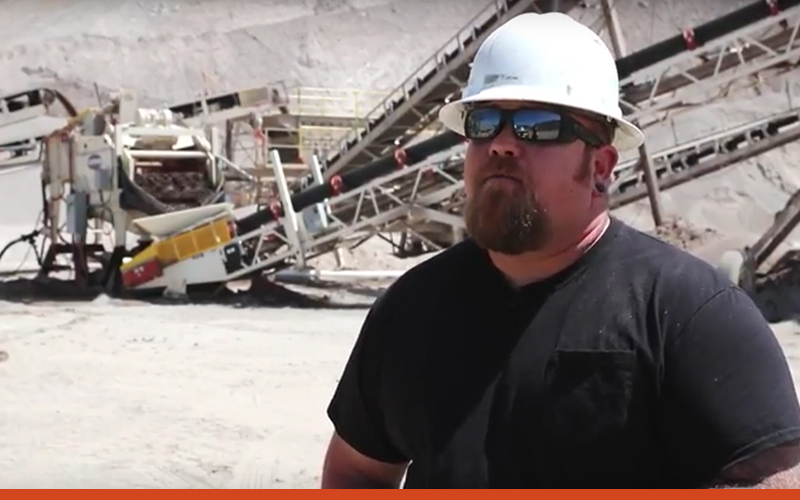 Rilite Aggregates, based in Reno, NV, needed to reduce its water use to meet tightening government specifications. 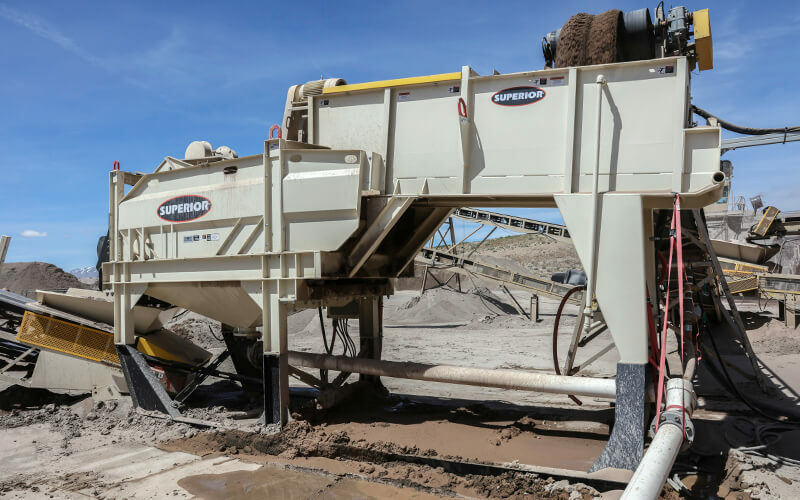 The company found a solution by integrating Superior’s Alliance™ Low Water Washer into their processing system, lessening their water consumption. 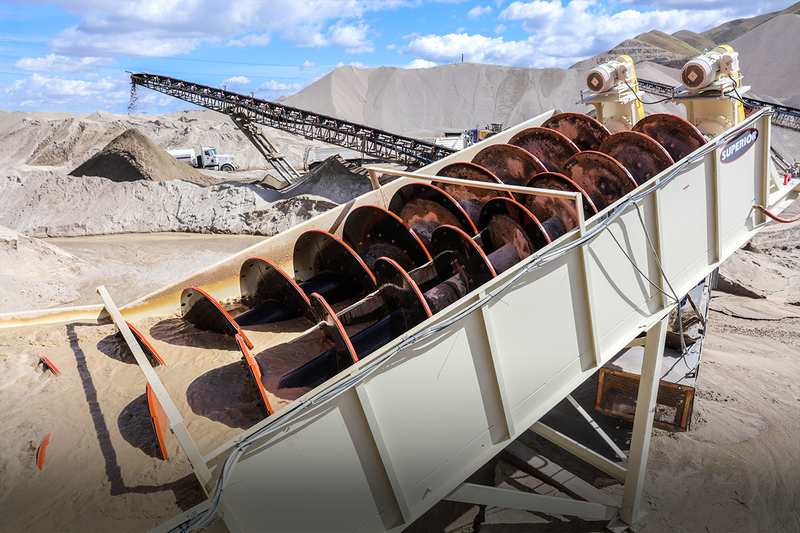 While their traditional sand screw was separating the material, it wasn’t able to meet the new moisture content requirement. To date, Rilite’s new Alliance Low Water Washer is producing a finished product at 11% and it fits in the same footprint as the old screw.